The wrath of the weather once again denied tonight’s final matches the prestige of being played at the impressive all-glass court set up at the Tap Seac Square. However, that did not dampen the spirit of all the finalists who gave the packed gallery a feast of our lovely sport. Annie Au of Hong Kong and Macau Open debutant Diego Elias both became first-time champions of this prestigious 50k event. 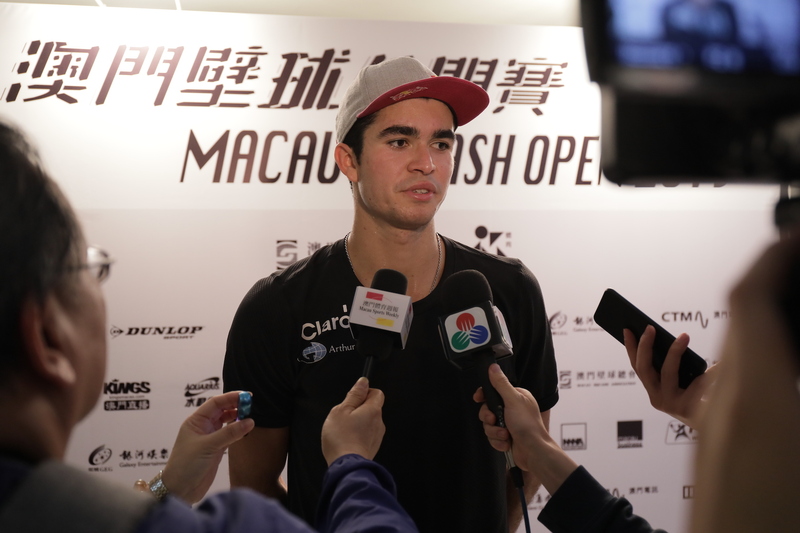 The pair both won in similar fashion, with Au halting the giant-killing run of Low Wee Wern and Elias outplaying Omar Mosaad. The women’s final started the evening for a change, after four straight days of the men opening. 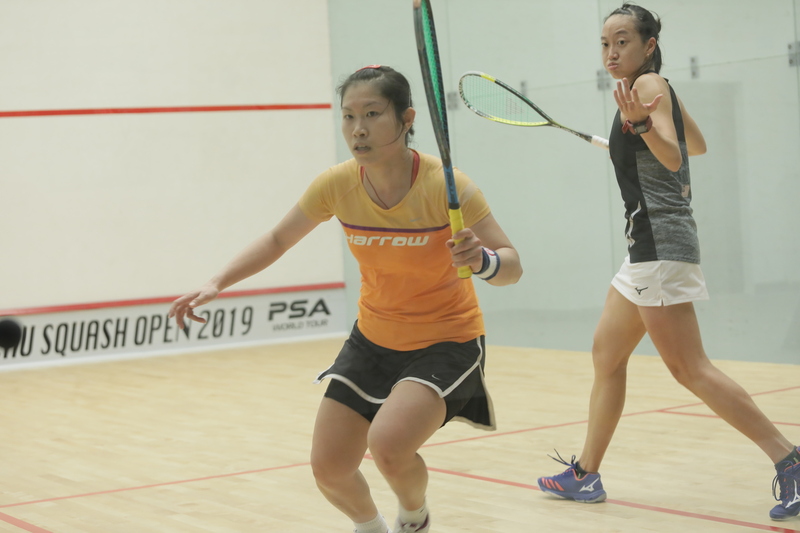 Hong Kong’s Annie Au, who has played in the event for many years but never won it before, was up against Malaysia’s comeback queen Low Wee Wern. The pair, who are quite in the same age bracket, has played each other fifteen times and not including the smaller regional events. Low Wee Wern returns a shot to Annie Au in their final match. Low once again got off to a flying start in the third, racing away to a 3-0 lead. But that quickly turned around as Au then forged ahead 7-4. Low also had, on some points, looked to limp a little and was less comfortable with her movement. That did not bother Au as she never looked back from the lead and won the game and match after two consecutive no lets were given against Low. The win gives Au her biggest title in her career. Annie Au in full control at the Macau Open final, while Low Wee Wern might’ve been asking herself what she needs to do. The men’s final was on paper a cracker in store. But while it failed to live up to its sizzle, there were moments in the match where things were pretty heated up. The start of the first game was rather close, with the Peruvian breaking away to a 2-point lead after slamming a forehand volley cross court into the nick to go 5-3. The next point was a crucial one as a no let given against Mosaad had him a little rattled and it was evident his concentration was off the books as the next five points went by quickly to give Elias the one-game lead. Diego Elias masterfully won the final match today. The third was by far the most competitive game. When Elias got to a 6-3 lead, Mosaad found his second wave and fought back to 6-6, before he crashed a very simple shot in the front into the tin. That threw the momentum back to Elias, who raced to 10-7. Mosaad wasn’t done yet and took the next two points with two shots into the nick. Shamefully, the match had to be ended on a no let decision against Mosaad when it was evidently a simple let. Diego Elias speaking to the local television after his win. 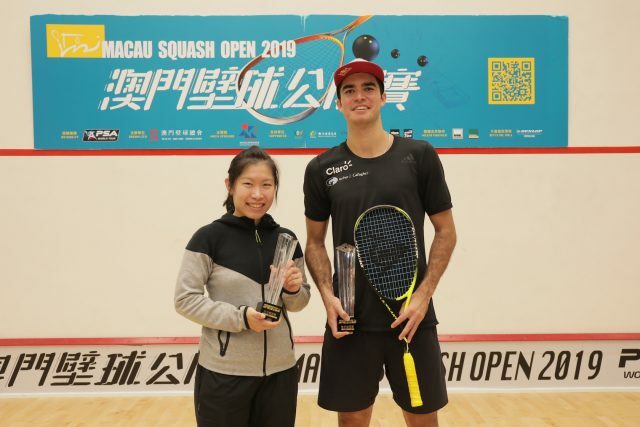 Annie Au and Diego Elias with their first Macau Open title trophies. 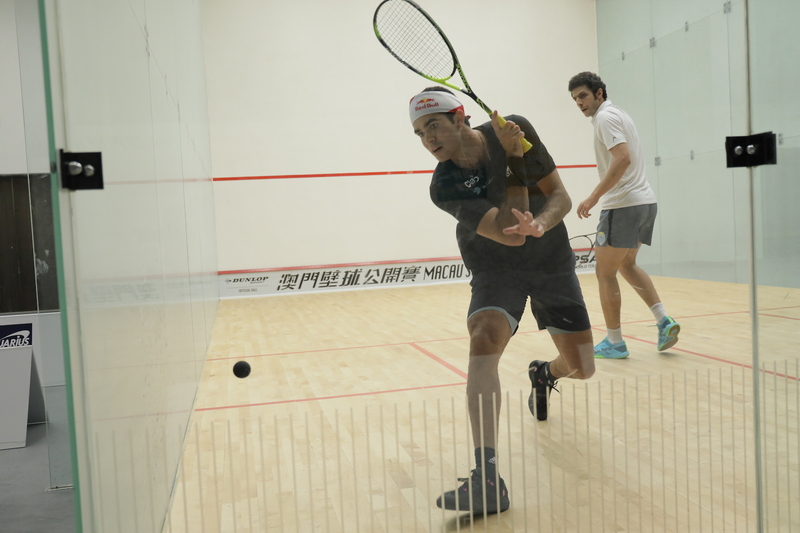 Alex Wan is an avid squash lover who writes, photographs, plays and coaches when he is not making a living with his Finance degree.